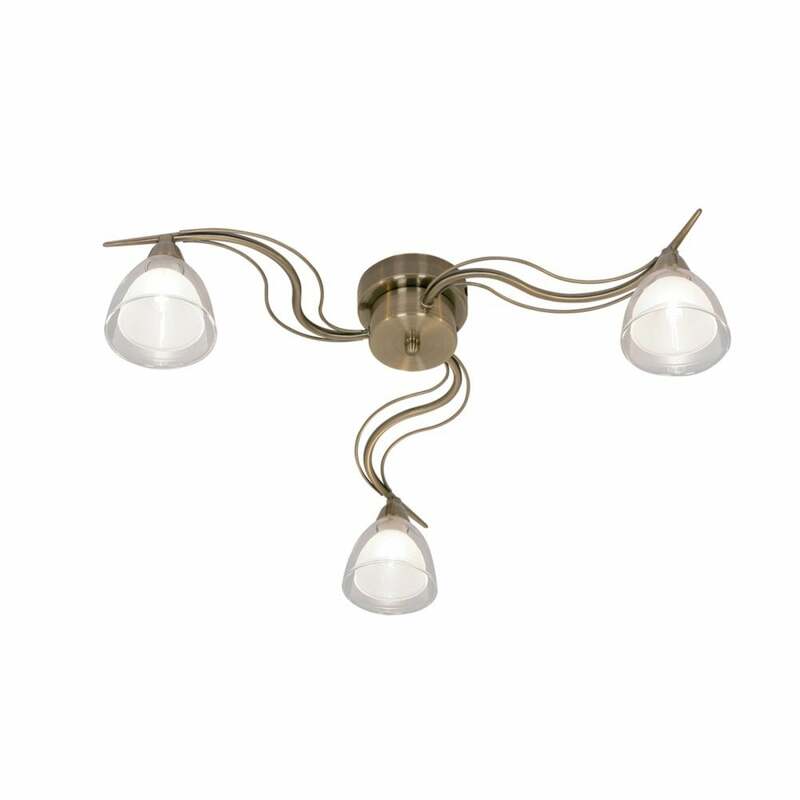 Oaks Lighting Portland 3 light semi flush ceiling fitting features a circular ceiling plate with a trio of elegant curved arms in antique brass finish. Each arm leads to a dome shaped clear outer glass shade surrounding a white inner glass shade. The product code is 9504/3 AB. Also available in antique chrome finish and a matching 5 light semi flush fitting and single light wall fitting which can be ordered from our website.